Precious metals are going insane right now, thanks in large part to the weaker U.S. dollar. Year-to-date, palladium is up 7 percent, platinum 19 percent, gold 21 percent and silver 25 percent. A correction at this point would be healthy, but looking ahead, this rally appears to have legs. Many analysts are already making comparisons between now and 2007, when commodities skyrocketed in an unprecedented bull market that ended in September 2011 with gold hitting its all-time high of $1,900 an ounce. 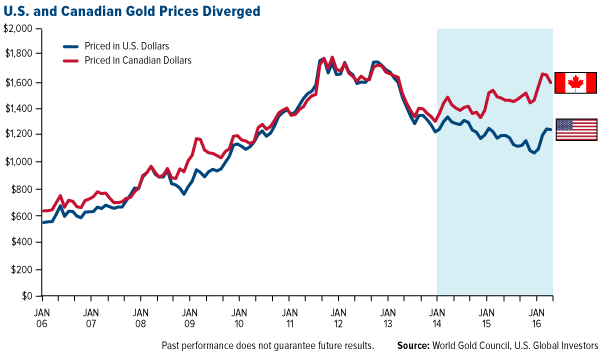 Now, Paradigm Capital analysts observe that “a new upcycle has begun in the gold sector,” estimating that “a ‘standard’ upcycle would take us to $1,800 an ounce over the next three to four years.” Another analyst sees it climbing to $3,000. 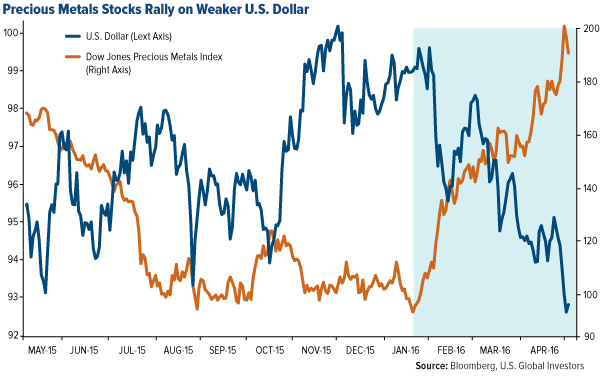 Whether or not this turns out to be the case, it’s clear that sentiment in precious metals has shifted dramatically, giving the group new found momentum. This shift has helped fuel demand for American Eagle gold (and silver) coins. 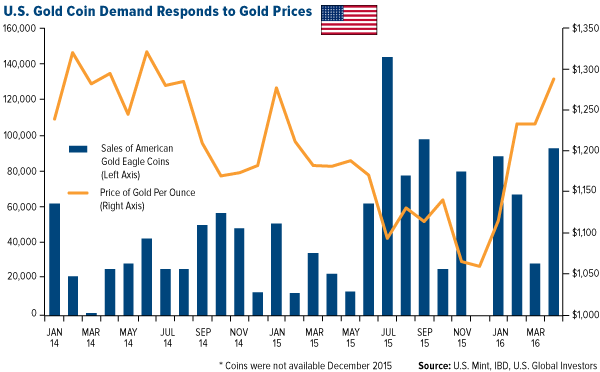 Spirited sales preceded gold’s recent bottom late in 2015 and have remained strong even as the precious metal rebounded in its best opening in 30 years, with many coins selling out within minutes of becoming available for purchase. Sales in April jumped nearly 180 percent from March and 257 percent from the same time in 2015. 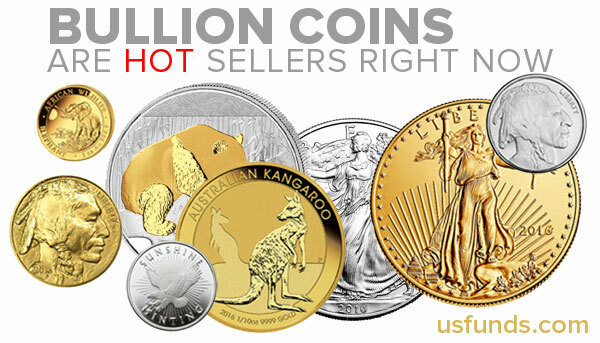 Silver coins are also moving fast after hitting an all-time sales record of 44.8 million ounces in 2015. Canada’s appetite for physical metals has surged as well. In its third quarter 2015 report, the Royal Canadian Mint reported record bullion sales on the weak Canadian dollar relative to the greenback, which made the yellow metal more attractive to buyers in the Great White North. And it’s not just Canadian citizens who are buying. During the third quarter, the Canadian Mint shipped to a reported 12 countries, up from nine countries during the same period a year earlier.